I’m not all done with Mesmerism yet. Besides providing a series of historical episodes that are interesting in their own right, Mesmerism also provokes some difficulties of interpretation for scholars who write about it. I’d like to draw attention to a methodological problem which arise in parts of the secondary literature. As I tried to show in the previous post, “Mesmerism” has been a diverse and contested ensemble of ideas and practices, with a continual change of strange bedfellows. We already saw that this poses questions about its interpretation as unambiguously “esoteric”. But also in the history of science it becomes a slippery object: in one moment it can be allied with materialism and mechanistic philosophy, in the other with vitalism, organicism and idealism. First it is used to exorcise the idea of demons, later it is taken as proof of a spirit world. These shifts seem to go on all the time, and in all directions. Now, this is a challenge to studies that take a broad diachronic approach of the development of Mesmerism and animal magnetism. Such approaches will unavoidably go from an assumption that there is a significant continuity at work, which makes it meaningful to talk about “Mesmerism” as a historical entity or “current”. Also, there should be some assumption about the relevance of this current. There has indeed been a kind of scholarly tradition of such studies of Mesmerism. The specific focus has been to show, in an almost Whiggish way, how Mesmerism would beget later psychodynamic theories of mind. Henri Ellenberger’s monumental Discovery of the Unconscious (1970) pretty much sat the scene for this interpretation. Later it has been followed up by Adam Crabtree, From Mesmer to Freud (1993), and to a certain extent (although in a much more careful way) Alan Gauld’s A History of Hypnosis (1992). These studies all have their merits. However, I think there are some quite serious problems involved with the “psycho-centric” frame of interpretation that they all to some degree represent. 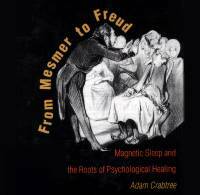 The problem is most clear in Crabtree’s book, which has the suggestive sub-title: Magnetic Sleep and the Roots of Psychological Healing. Throughout the book Crabtree uses terms such as “psychotherapy”, “trance”, and “transference” to describe what was going on in Mesmeric clinics, especially those of the puységurean type. Forcing terms – and implicitly even entire theories – like these on the material obviously brings all the dangers of a “presentistic” or “present centered” way of writing history. For example, the author essentially ends up deciding what the Mesmeric physicians really “discovered” – namely a set of psychotherapeutic tools which the author himself finds to be “real”. To borrow a term from Andrew Pickering, this is an example of “retrospective realism”. That is in itself problematic, for any history of science. But it is so much more problematic when it appears in a history of psychology, written by someone with a clear standpoint and personal interests within current psychotherapeutic discourse. As anyone remotely acquainted with up-to-date research in psychology will know, classical psychoanalysis is controversial as a theory of mind and therapeutic practice. Even terms such as “trance” and “hypnosis” are highly disputed, and cannot be employed to interpret historical data without significant dangers of weaving new illusions. In short, this begs some serious questions regarding the very grounds of the retrospective realism Crabtree employs to make sense of the material. I shall be quite clear about my view on the book’s analysis of Mesmerism. Despite a great orientation of the sources and often quite meticulous description of various cases, I think the work reads primarily as an attempted vindication of a controversial position in modern psychotherapy. It is unclear if the analyses that are offered have any value outside of that discourse. In fact, I cannot shake off the feeling that they lead to historical distortions, anachronisms, and even the perpetuation of an outdated theory of how the mind works. In my view, Crabtree must be read with a healthy dose of suspicion. Good and interesting review. Combine it with the better part of the former post, and you have the better part of something approaching a popularized article. Thanks. I’m realizing I should write something more substantial about this at one point. First step could be a popularized review article.